Best Time to Take Black Pepper for Max Turmeric Absorption? I hate the taste of golden paste and thus include turmeric in my diet. The issue is black pepper does not go very well with most dishes we cook. So, if we are not taking both together, when should I take it to ensure it still helps? Can black pepper taken in morning help whole day? If you have been following our articles, you already know that turmeric is poorly absorbed in our body. If one takes just turmeric, most of it will just pass as it is without being absorbed in the body. Thanks to mother nature, one of the solution is right there in our kitchen – black pepper. Black pepper has piperine, which aids the absorption of turmeric in the body by as much as 2000%. But when should I take black pepper? Okay coming to our main topic now – when you should take black pepper? For people taking golden paste (recipe here) this question does not arise as black pepper is included in the paste. But what if you include turmeric in smoothies? or say in food where you cannot or do not want to add black pepper? In such cases when should you take black pepper becomes an important question. Okay, so here is the answer. The best option is to take turmeric and ground pepper together. But it is ok if you cannot follow that rule. In an animal model investigating the metabolism of piperine demonstrated that 97% of oral 30mg dose was absorbed and its highest concentration levels in stomach and intestine were reached after 6 hours. As piperine plays an important role in the absorption of turmeric through the intestine, thus this number is important. 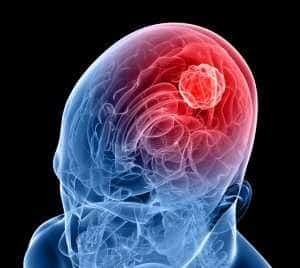 In another study investigating food-drug interactions volunteers were asked to consume a drug, phenytoin 30 minutes after consuming a soup containing black pepper. Interestingly piperine did increase serum levels of phenytoin and delayed its excretion. Thus if you take black pepper separately then – it is okay to take turmeric even 2-3 hrs after the time of taking black pepper. This means that black pepper taken in lunch is unlikely to help your turmeric dosage by dinner time. But it also means it does not need to be “always together” too. How and when do you take black pepper? Do let me know through comments below! 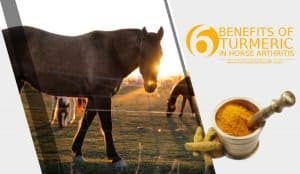 6 Ways Turmeric Benefits in Horse Arthritis Naturally! Does Turmeric / Curcumin Interact with Losartan and Amlodipine? You have not answered the question “What is the best time of day to drink my Turmeric and Black pepper mixture”? Please be more specific. Is it in the morning, the evening, with meals, before meals, etc? I just spent $280 buying Turmeric powder and want to get the most benefit possible. So please help me! is it ok to take peppercorns whole or do they not digest. Hi, I have been putting turmeric powder and about 5 whole black pepper corns in about a cup of water and just chugging that quickly every morning since it does not dissolve well in water. Is this ok too? Or should I take the pepper grinded instead? Hi. It is ok to take whole peppercorns with turmeric. Curcumin is poorly soluble in water; you could consider making turmeric tea. Hi. If it is supplements that your friend wants to opt for, look for a patented formulation that does not contain black pepper or bioperine. If it is turmeric powder, then healthy dietary fats such as coconut oil and olive oil also help with the absorption of turmeric. Hi. I’m pretty new to taking tumeric and I’ve been taking it in a supplement of 500 mg. I don’t know how much pepper to take with it so I’ve just been sprinkling some in my mouth haha from the shaker. Do I need to measure out like a teaspoon or something like that? Thanks for all your great information!! Hi. No you don’t have to measure out black pepper with a spoon. What you could do instead is that take the supplement after meals and if possible try and include black pepper in the meal. The dietary fats in the meal will aid in absorption. Also next time opt for a supplement that already contains black pepper or piperine. I do the same thing. I grind up fresh pepper, probably about one eighth teaspoon and pour it in my mouth then down a little water. I take black pepper and two tumeric capsules with 8 ounces of water first thing in the morning on an empty stomach. The company that I bought my numeric supplements from say that they added ginger for absorption rather than pepper because pepper upsets some peoples stomachs. Does Ginger have the same affect on absorption? Hi. Ginger is used as a bioavailability enhancer in Ayurveda, traditional Indian medicinal system. We have not come across any scientific studies proving the same. Turmeric and ginger have a synergistic anti-inflammatory action. You could consider consuming the supplement after meals because dietary fat can aid in absorption. Do peppercorns work as well? Could I pop a whole peppercorn with my Curcumin supplement? Hi. Yes you can consume black peppercorns after taking a curcumin supplement. Take the supplement after meals to improve the absorption (owing to the dietary fat). I sprinkle Tumeric and cracked black pepper on my eggs in the morning. I have two questions: Does it matter if the black pepper is freshly cracked at the time of use (or, is any black pepper ok)? And, adding the black pepper 6 hours ahead of time isn’t practical. So, is it better if I add the cracked pepper at the time of use or combine it with the Tumeric into a homemade spice which will sit in a slice jar for weeks and months before being fully used? Hi. Using freshly ground black pepper is preferable whenever possible. Yes you can make a spice mix and store it in an air tight container but it would be better to add black pepper at the time of use so that its pungency and piperine is not lost. Hi, I’d just like to check the amount of freshly ground black pepper I should be using … You suggest a ratio of 1tsp ground turmeric to 1/4-1/2tsp of ground black pepper. However, your recipe for turmeric paste suggests 1/2 cup ground turmeric and 1 1/2tsp ground black pepper. This is no where near the same ratio as 1tsp turmeric and 1/4-1/2tsp black pepper. When using your recipe for turmeric paste, should I be adding even more ground black pepper to my Golden Milk when I make it? Or does the coconut oil added to the turmeric paste aid adequate absorption. Would it benefit me even more to add extra black pepper? I’ve started using Golden Milk to hopefully relieve my joint inflammation symptoms. Thanks! Hi. There is no need to add black pepper powder to Golden milk but if you do add it, it is absolutely safe and will have its own set of health benefits. About the ratio of 1tsp ground turmeric to 1/4-1/2tsp of ground black pepper, it is a feasible amount to consume for any amount less than that would make it difficult to measure black pepper powder. Also this amount will ensure absorption and provide health benefits without irritating the gastric lining. The coconut oil compensates for the less amount of black pepper powder in the paste. Adding excess black pepper may have benefits but it may irritate the gastric lining and cause acid reflux; so it is best to stick with small amounts. If your supplement does not contain black pepper, please take it after meals to increase the absorption and you can include black pepper in the diet. Im confused. This says it is best to take the black pepper and turmeric at the same time (with food). However, it says, the black pepper is at it’s peak 6 hours AFTER you take it. So, wouldnt you want to take some black pepper 6 hours before you take the turmeric (with a meal)? I take turmeric suppliment with 750 mg it has ginger but not pepper. How much pepper do I need? Is it a 1/2 tsp? 1/2 tsp should suffice. Please take it with meals so that dietary fat can aid in absorption. You can consider adding black pepper to that meal. -a few shakes each of ground cumin, coriander and cinnamon. Because of the garlic no one speaks to me all day. Hi. Thank you for sharing your way of taking turmeric. It is a good mix of spices for heart health. Wish you great health! The garlic is killing the bacteria in your kefir. Better to take them an hour a pet from each other. Hi, why ground pepper is better then whole peppercorns while taken with turmeric ? Whole peppercorns can be taken with turmeric. No issue with that. Freshly ground black pepper is advised instead of store bought black pepper powder. This is because piperine, the volatile component of black pepper powder is lost on storage. In case of freshly ground black pepper, piperine remains intact and aids in absorption. How many peppercorns to take with 500 mg curcumin? I take 4 peppercorns with my 1 500 mg. tumeric tablet each time I take it. I take 2 tumeric a day but I also use only fresh cracked peppercorns on all my food. I really like pepper so it probably helps a bit more for me, I hope so. Hi, I had gastric bypass surgery for weight loss in 2003. I had the Roux-en-y surgery. I used turmeric and black pepper for 1 month, trying to lose a few lb ive gained. In that month I had no results at all. The doctor has my husband taking this and he has been on it for 4 months. He has lost weight like crazy. 8# the 1st month, 2#, 1#, 3#. I’m trying to figure out if it is absorbed after having my surgery. I get bi-weekly b-12 injections, as I don’t absorb that at all. Hoping you have valuable information. Hope this helps. Please consult your doctor with regards to this. 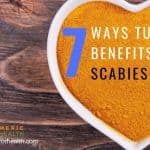 I have studied and cannot find anything indicating how much piperine is enough or too little, or too much. Will the organic peppercorns brewed with the ginger and turmeric elixer add the piperine needed? Or, only if ground? I have been adding the peppercorns (about two tablesppons) to a large pot of brew. I add true Cinnamon from Sri lanka, and a handful of wild berry hibiscus. Then honey. well, wow, when I ground the pepper — BAM … like over peppering your potato. So, how much is too much. And are the peppercorns enough if boiled and simmered for a time? Or, must the pepper be ground in order to gain sufficient piperine? By the way, I grind the turmeric and the ginger fresh from the roots. Hi. As far as supplements are concerned, companies use 10 mg bioperine for 1000mg standardized 95% curcumin. For dietary purposes, there is no exact ratio. We suggest for 1/4-1/2 tsp of ground black pepper for 1 tsp turmeric powder. You can boil organic peppercorns with ginger and turmeric; however we would recommend adding freshly ground black pepper in the end to the brew since piperine is insoluble in water. Two table spoons of black peppercorns is too much if this 1 serving. For 1 serving for 8 ounces, 4-5 black peppercorns should suffice. This is just an approximation and not based on calculation via scientific principles. Excess black pepper can irritate gastric lining and affect kidney function. Hope this helps. I use only raw turmeric powder in a hot water mixed with maca root powder for fibroid. Does it mean that without adding black pepper I wouldn’t get good result? I don’t if black pepper is sold in Nigeria. Hi. It is best to use either black pepper or fats for increasing the absorption of curcumin found in turmeric, to get better results. Is turmeric and ceyenne as effective as turmeric and black pepper? Cayenne pepper contains capsaicin and current studies don’t support the idea that capsaicin helps in turmeric absorption. Black pepper contains piperine which is proven to enhance turmeric’s bioavailability. We would suggest using black pepper over cayenne as far as absorption is concerned. 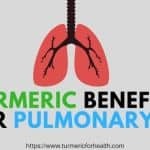 Can tumeric and black pepper essential oils be used as effectively as taking tumeric supplements? If so, where is the best spot on the body to apply the EO and how many drops of each would you use in coconut oil? Hi. Turmeric and black pepper essential oils (1-2 drops) can be mixed with coconut oil and applied to the area where there is pain or inflammation. 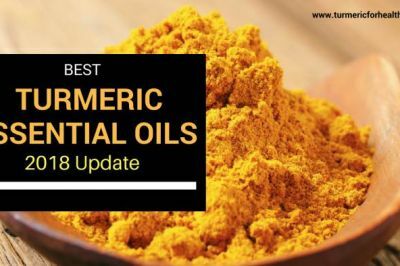 There has been no study that compares turmeric and black pepper essential oil and supplements, so it is tough to comment on that. Always include the essential oils in a drink for oral consumption as they are very concentrated. Also turmeric oil does not require black pepper oil for absorption, but both have their own health benefits and can be used together. I have been making a turmeric tea with the fresh root, fresh ginger root, fresh ground black pepper, heated in about a tablespoon of coconut oil for 3-5 minutes. Then I add it to the vitamix with almond milk, cinnamon, cardomom, a pich of nutmeg and some maple syrup. My question is that I store this in a glass jar in the fridge and consume through out the week. But someone told me that the pepper only has effect if it is frshly ground right before consuming it. Is this true, or can I make this recipe ahead of time and still get the benefits as the week goes by? Hi. It is true that one should use freshly ground black pepper but that is in comparison to stored or readymade black pepper. Piperine found in black pepper is required for turmeric’s absorption and it is volatile. So if you are using readymade ground black pepper then chances are that it might have reduced piperine content, therefore the first choice is freshly ground black pepper. Once it is included in the food or drink there should be no problem; so you can make the recipe earlier and consume it over the week. Hi. Yes that should be sufficient for absorption of turmeric capsules. 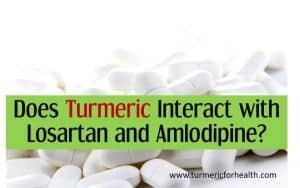 Taking turmeric capsules with a meal also enhance absorption. I read that the turmeric/pepper combo would be better absorbed in warm foods but then I see all these smoothies that seem to be fine. So will the benefits be the same in cold cereal as well as a hot soup? Hi. Yes turmeric and black pepper combo will also benefit when added to cold cereal or hot soup. This is because food provides a good matrix for absorption of turmeric. Also black pepper aids in absorption. Heating turmeric is not a necessity but has its additional benefits. I take raw ground turmeric and ginger, and peppercorns cracked, and heat in a sauce pot. Then strain and drink as tea for chronic menstrual pain relief. Is this an effective method? It seems to work nicely. Yes this is very similar to Turmeric tea and the fact that you are experiencing relief does indicate that turmeric tea benefits in menstrual relief. This tea recipe has no pepper. Will it still be effective? Hi. You can add black pepper and cinnamon as well. Interestingly despite the fact that turmeric needs black pepper and/or oil for absorption, turmeric tea does help in pain relief. Greetings, how do you measure it? How does this breakfast sound? Green tea with 1 tsp turmeric, 1/4 tsp pepper, 1 tsp cinnamon, 3 tsp apple cider vinegar, juice from 1/4 lemon, 1 tsp raw honey plus a bowl of oatmeal plus a glass of veggie/fruit smoothie? I’ve been on this for a year but I still have sore knees and hips. It may not help that I run 2-3 times/week in training for my state’s Senior Olympics. Any suggestions? Hi. That is a great way of including turmeric in diet. 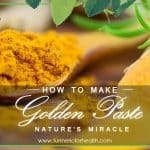 However if you are looking for more pronounced health benefits You can take Golden Paste. Start with small doses such as 1/4-1/2 tsp and if you see no side effects then increase the dose gradually to 1 tsp 2-3 times a day over a few weeks. Best taken with food to avoid acid reflux. Avoid taking it at the same time when you take meds. Since I have been taking a table spoon of turmeric with a teaspoon of ground pepper corns my gout has disappeared. Amazing. Drinking whiskey used to aggravate the gout; not any more. But I don’t advocate trying to aggravate it. Hi, I make my own tumeric capsules, would it make sense to combine tumeric and black pepper in the one capsule? Yes, you can combine turmeric and black pepper in 1 capsule. Hi I mix 1 teaspoon tumeric 3 teaspoons coconut organic cold pressed oil plus 1/4 teaspoon black pepper plus 1/2 teaspoon of maple syrup .. It’s amazing tasts great I look forward . That’s great. Thank you for sharing this. I have bought Turmeric in a supermarket and wondered should I be buying it from a Health Food Store instead to get the best natural ingredient from it? Also, is it okay to take Turmeric on its own without pepper? 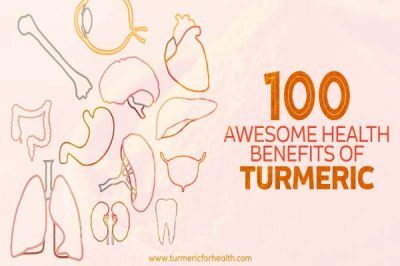 This is the first time I have read what benefits Turmeric could provide. Does it help with muscle spasms? Thank you. (What an informative site this is – keep up the good work). Hi. If its turmeric powder then the one available at the supermarket as well as health food store should be the same. 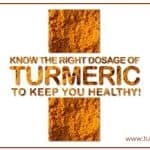 Ensure it is a good quality organic turmeric powder. Turmeric components are poorly absorbed in the body and hence should be taken with black pepper and/or oil which help in absorption. Does the ground black pepper need to be fresh to combine with turmeric? Hi. Freshly ground black pepper is preferred. This is because piperine, the active ingredient of black pepper is volatile and is lost on storage. Piperine is essential for absorption of curcumin from turmeric. Hi. This a unique combination of ingredients. If it is suiting you then it is fine. Since almond milk does contain fat the addition of black pepper is not a necessity. Also a word of caution some individuals experience gastric discomfort with coffee and turmeric combination so please check if it suits you. 1 teaspoon turmeric is fine but if you are just starting off with turmeric limit to 1/2 tsp initially to avoid any gastric discomfort. Hi, so we can forego the black pepper if the tumeric is taken with a soluble fat,like coconut oil? Yes. Oil alone also helps in absorption of turmeric. Hello I would like to ask about using fresh tumeric. I’ve been using it in my shakes for a long time now but don’t have anything to weigh it. I usually throw in 2 medium size pieces about 3 inches long. Do I need to weigh them? And can you take the black pepper straight on a spoon or will that make you gag? Thanks! Hi Tony. Fresh turmeric can be consumed without black pepper. It naturally has oils that help in absorption. 2 pieces of 3 inches would be quite to much. We generally recommend 1/2 inch piece at a go but one piece of 1/2-1 inch should suffice for juicing/shakes. 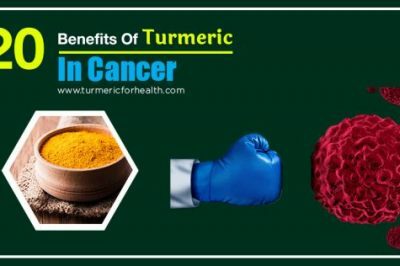 Hello, I would like to know if I could get the great benefits of turmeric by consuming the turmeric used for foods, turmeric herb mixed with black pepper. Like two parts of ground turmeric herb to one part of ground black pepper, packed in capsules. And how many capsules a day would do the work? Yes. You can do that. You may have to take 2-3 capsules a day preferably after meals. Could Black Pepper Essential Oil be used instead of black pepper? And how much? Did you receive an answer to your question concerning the combining Black Pepper essential oil with turmeric powder. I usuall take four drops of EO with a half tablespoon of turmeric powder in a glass of water. How does that sound? Fred, black pepper essential oil would be helpful only if it contains piperine. Piperine is the non volatile component of black pepper while essential oils are the volatile content. Generally the volatile oil formulation has low or no piperine. Black pepper essential oil cannot replace black pepper since it does not contain piperine which is required for absorption of turmeric/curcumin. 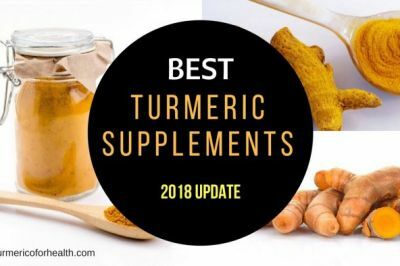 This is great info, because I have always been taking my black pepper powder and bioperine (piperine) tablets directly along with my turmeric curcumin capsules, and also take ginger, Holy Basil (tulsi), fenugreek (methi), cod liver oil, borage seed oil/flaxseed oil, garlic oil all at the same time. I will also begin taking cinnamon alongside these. I haven’t tried the golden paste yet, but I am going to make it. 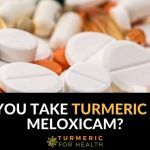 I find turmeric curcumin to be an absolute boon to the management and soothing of chronic bone pain related to a hemolytic anemia I have (genetic). It also keeps my digestive system moving properly and seems to keep my blood from being overly thick and prone to clotting (worrisome for stroke, DVT, etc). Turmeric is something I will always take for the rest of my life. 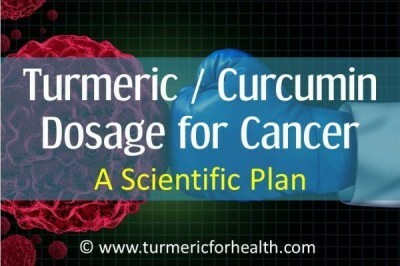 I am sharing also with family and friends this website and the amazing benefits of turmeric! Thank you Naveen and Keshav for all you are doing! I enjoy the weekly emails! Thank you for your appreciation. Also thank you for sharing the fact that use turmeric for a blood related disorder and its benefiting you; most people are skeptic about this because curcumin has blood thinning property. Glad to hear that you take turmeric for life. AHH, Nice to read all these recipes and ways of consuming the mix. one thing which has not been mentioned is ..”how often one should consume and for what period of time” ?I mean if one is using it as a supplement or as a medicine to cure .. i,m not sure if its wise to consume turmeric daily for a long period of time. I use it when I sense I need a dose, Or if I have an ailment to cure. .Myself I make a tincture, and from research I found combining Ginger is extremely beneficial, ..
My recipe is . 60% fresh organic Turmeric, 35% fresh organic ginger, and 5%fresh organic black peppercorns. . I grate or lightly blend the ginger and the Turmeric, and fill up a jar about 2/3 full , I add the black peppercorns and fill the jar to the top with good quality vodka, I give it a good shake and place the jar in a dark cupboard, occasionally i will give it a shake.. this is left for at least 6 weeks. I then have a nice mix, which is powerful, convenient and tasty.. .. i,m not sure about using powders , unless one knows the source and the quality of the product as most can be adulterated, or lose their strength. i think 6 months to a year is use by date for most powders?? So Why not use fresh, and if possible organic. .. Thanks for all the updates and information. lets heal the world. Great idea! I’m going to take it advice and grate fresh organic turmeric root and make a tincture with 90 proof vodka or whiskey as you have detailed. I agree the shelf life can vary greatly with powders due to the way they are stored…too much heat or too much dampness can really cause the product to deteriorate, and who knows how these herbal supplements are stored while in transit or in warehouses while waiting to be sold. I think making it fresh is ideal. Once could theoretically dry out the root and grind it into a powder for the freshest results and buy the veggie gelatin capsules and fill those for easy carry on trips, or also for those who don’t like to take tinctures. I made a tincture of cilantro to help with heavy metal chelation and detox, and it is far better than the tincture I had purchased (at great expense, $13 for 1 ounce). Thank you for the idea! I just hate that fresh turmeric root is like $14.99 a lb at Whole Foods (organic)…but grating it and making a tincture a little will go a LONG way, so in that case the cost-benefit analysis for me makes it worth it! Can’t put a price on your health, because in the end, it’s all we really have (health and life). All other things can become useless and pointless if one is too ill to enjoy life. Good post! 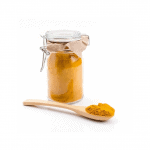 Nicky thank you for sharing your turmeric tincture recipe. I’ve found the easiest way for me to have turmeric is in the golden paste form. 3x a day in a small tumbler I use 1 tsp GP, 1 tsp honey, some ground cinnamon, some ground ginger and mix it up then fill about half way with milk to make it drinkable. Kirsty that is an excellent recipe, Thank you for sharing it. I am taking two capsules of turmeric (I buy the powder and do the rest myself) and I take two peppercorns at the same time. Is this beneficial? I have wondered if the peppercorns will break down. I soaked them in vinegar overnight, and they did not change form. I would imagine that the digestive acids from your stomach would do a better job breaking down the peppercorns than vinegar. I think you only benefit from pepper if you crack it. I am not really sure if two peppercorns give the amount of piperine required for absorption but it definitely will contribute. You can take the capsules with meals to ensure absorption. 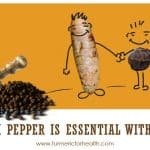 Thanks for this article I have been wondering if I have been taking my pepper the right way for my Turmeric to work well. Now I know that I am. I sprinkle black pepper on my food and take my turmeric right after I eat. I guess that works. Does white pepper have piperine? Yes white pepper has piperine but I am not really sure if it helps with absorption of turmeric. 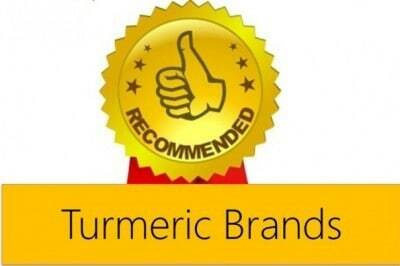 I have had fantastic results taking a turmeric/curcumin tablet. Why not make it easier? I cannot have black pepper. So, will turmeric still work for me mixed in olive oil or honey? I want to start taking it, but not sure how without the black pepper? Yes turmeric mixed with oil will help. You can also take it with ginger to aid in absorption. Hi i take 1 tsp of turmeric power 1 tsp garlic 1 tsp cinnamon 1 tsp ginger 1 tsp honey 1 tsp coconut oil 1 tsp olive oil 1 pinch of ground pepper pour warm water into mug mix together making a paste the filling the rest of the mug with full cream milk what do you think…………?????? what a recipe? but you can surely do without the milk. why not a fruity youghort. Hi. The recipe sounds fine but you could use either one of the oil and also reduce the amount of cinnamon to 1/4-1/2 tsp. 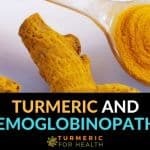 Black pepper, oil and dairy fat will aid in absorption of turmeric. You could actually skip the oil if you wish. Is this recipe suiting you? 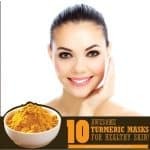 The best way to consume turmeric is to mix its powder in oats along with identical quantity of pepper powder, boil the mixture in water for a few minutes and consume it in the morning. The ideal dosage is three tablespoon full of oats, one fourth teaspoon of turmeric powder and one fourth teaspoon of pepper powder. Oats acts as a vehicle to deliver turmeric powder and pepper powder, apart from being a rich source of fibre. This mixture also acts as a preventive measure for many ailments/diseases like common cold/flu/cough/body pains/arthritis,etc.This has been tested and proven 100 per cent and I am fully convinced and satisfied with the wonderful results. This mixture i.e oats, with identical quantity of turmeric powder and pepper powder boiled in water should be taken on a daily basis and even after cure of a disease/ailment, this mixture should be continued for ever as it serves as a preventive measure. On Oct 14, 2015 Nelson asked about proportions of turmeric to black pepper. I have the same question. I bought a capsule filling device and want to start making tumeric supplements this way, but have no idea how much pepper to mix in with the turmeric. There isnt an exact proportion. But 500mg of turmeric powder may require as much as 10-20mg black pepper freshly ground. Say if 2/3 capsule contains turmeric 1/3 should be black pepper. that would be 20% so wouldn’t 500mg turmeric require 125mg pepper? Hi. Indeed the turmeric black pepper ratio can get confusing. For 1 tsp turmeric we recommend something close to 1/4 tsp black pepper powder ; this enough to aid with absorption. It is hard to describe this in mg primarily because the ratio is between curcumin and piperine. The ratio most pharma companies follow is 1:100 eg: 1000mg curcumin would have 10mg piperine. So to put this into real life practice you might require to identify the curcumin and piperine content first in turmeric and black pepper and then convert to mg.
An approximation is best in this case which would 1/3-1/4 amount of black pepper compared to turmeric powder. 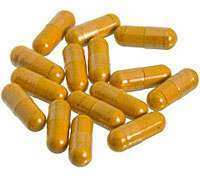 Also taking these capsules after a meal can help since dietary fat aids in absorption. Hope this helps. I can’t eat black pepper. Any other suggestions? 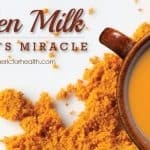 I take 1 teaspoon of turmeric and a 1/4 teaspoon of ground black pepper in warm milk and add about 1 tablespoon of honey and drink that before bed, works a treat as a sleep aid too. Hi. Thank you for sharing this. turmeric taken with fats also helps in absorption. I take 1 teaspoon of turmeric mixed in milk and take 1/8 teaspoon of black pepper when this milk + turmeric is about to be finished. Is it okay ? Yes that’s fine. You could even mix it in the milk if you can tolerate that. Or you can make the Golden Paste and add milk to it. I like the paste, But if I do not have any made can I make a T out of ground Tumerick, ground ginger, ground cinnamon and ground pepper and drink that? Will I get the same benefit? Thanks! I started taken the powder in water in the morning,and using I cooking. I didn’t know much about, until I read your articles thank you. Stain and drink ,half an hour before meals. I understand that black pepper helps to make turmeric bio-available by BLOCKING some enzyme that stops turmeric from being well-absorbed. But is it OK to block that enzyme? How MUCH black pepper should one consume for a given amount of actual turmeric powder as food, and also how much when it’s in capsule form (say, a 300mg capsule standardized to 95% curcumin)? I too would like to know the proportion by weight of turmeric powder and pepper powder if taken together. I take 3 gms of turmeric powder with breakfast and 3 gms with dinner, every day. There is no exact ratio. With 3g of turmeric 1/4 tsp should be fine. Yes blocking the enzymes is a temporary action which does not have a detrimental effect. For 1 tsp turmeric 1/4 tsp black pepper. For 500mg curcumin 5mg piperine. Thanks for this. I had this query in my mind and looking for ans.. thanks ..